The right truck mattress waiting for you in the sleeper berth can be just what you need to rejuvenate. A sleepless, restless night is no fun. And waking up after an uncomfortable night and having to go to work – especially if you drive for a living – is less than ideal and can present unique problems. Obviously, a well-rested driver is going to be more alert to road incidents and be able to make quicker corrective actions. 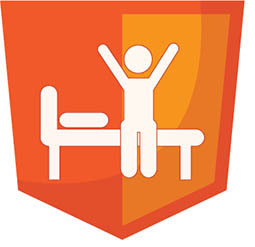 For your time on the road, you need to stay rested, comfortable and healthy. If you’re contemplating purchasing a truck mattress and could use a little guidance, we hope the tips below can help steer you in the right direction. 1. Truck Mattress Sizes – Which Mattress Fits My Truck? Sizes and configurations of sleeping cabs vary, so start with measuring both the length and the width of the sleeper berth to use as a guide when looking at mattress sizes. Common truck mattress sizes are: 42″ x 80″ , 38″ x 80″ , 35″ x 79″, 32″ x 79″, 36″ x 76″. If you need a mattress for the top bunk, one of the most common sizes is 28×79 and generally fits most Freightliner, International, Kenworth, Mack and Peterbilt trucks. Volvo trucks usually have a larger top bunk and can fit a mattress that is 38×80. To see which mattress size will fit your truck, view our guide to truck mattress sizes. Keep in mind that there are many variations in vehicle applications so it is still a good idea to measure the width and length of the sleeper berth to ensure optimum mattress fit. Many truck mattresses are conveniently shipped compression packed and don’t expand to their full size until they are unpackaged. This makes the mattress easier to handle and maneuver into the sleeper area, regardless of the mattress size. Unpack once inside the sleeping area and give the mattress a few minutes to take shape and reach its full size. A truck mattress will not only vary in width and length, but also in thickness. What do you prefer sleeping on? Will a thin mattress suit you, or are you dreaming of resting on something thicker, plusher, and topped with memory foam? Mattress thicknesses generally range from between 4″ thick to 8.5″ plus. A 4″ thick mattress may not offer all the cushion of a thicker one (especially when one driver sleep while another drives) but can be a great economical option or a good choice for a top bunk that is slept on infrequently or for use as a camper mattress. For added comfort, go with a thicker mattress or a mattress topped with memory foam such as these memory foam truck mattresses. Other popular thicknesses are 6.5″ and 5.5″. Look for one with a quilted top for more cushion and comfort than a non-quilted one. 3. How easy is the mattress to clean? This may be an important consideration for team drivers, company owned trucks or any situation where a truck is to be used by multiple drivers. Some truck mattresses, such as these from Mobile Innerspace, have a cashmere removable cover that you can easily take off and throw in the washer. Alternatively, a basic cloth or plastic mattress cover can be purchased separately and will help protect the mattress. The plastic will help to resist stains and spills. 4. Is the mattress reversible? A reversible mattress is designed so it can be flipped over and used on either side. Useful for increasing the life span of the mattress. 5. Does the truck mattress meet Federal Motor Vehicle Safety Standards? A quick check should let you know if a mattress meets the Federal Motor Vehicle Safety Standards. Motor Vehicle Safety Standard No. 302 (MVSS-302) – Flammability of Interior Materials – Passenger Cars, Multipurpose Passenger Vehicles, Trucks, and Buses. This standard specifies burn resistance requirements for materials use d in the occupant compartments of motor vehicles. Its purpose is to reduce deaths and injuries to motor vehicle occupants caused by vehicle fires, especially those originating in the interior of the vehicle from sources such as matches or cigarettes. Each mattress sold at RyderFleetProducts.com passes MVss-302 requirements. Start your truck mattress search at Ryder Fleet Products. Whether you need a Freightliner truck mattress, Peterbilt truck mattress, Volvo truck mattress, or one for an International, Kenworth or Mack truck, we’re your source for luxury truck mattresses. Choose from various models and price points and enjoy FREE shipping on orders over $250. Let us help you relax, rejuvenate and wake up refreshed! This entry was posted in Product Reviews and tagged Ryder Fleet Products, truck mattress, truck mattresses by Ryder Fleet Products. Bookmark the permalink.